Thank you to everyone who entered our Challenge No. 48 - Just for Kids. Our intention is to use Random.org if we have over ten participants; otherwise, (Creative Team) CT Coordinator will chose the winner. We had 28 participants so on to the winner! Please email stampnscrapjunkie@gmail.com with the (ONE) image you chose from Fitztown within seven (7) days. You can shop for images here. Please use Challenge #48 Winner in the subject line. Don't forget to grab your winner badge located here to display proudly on your blog's sidebar! 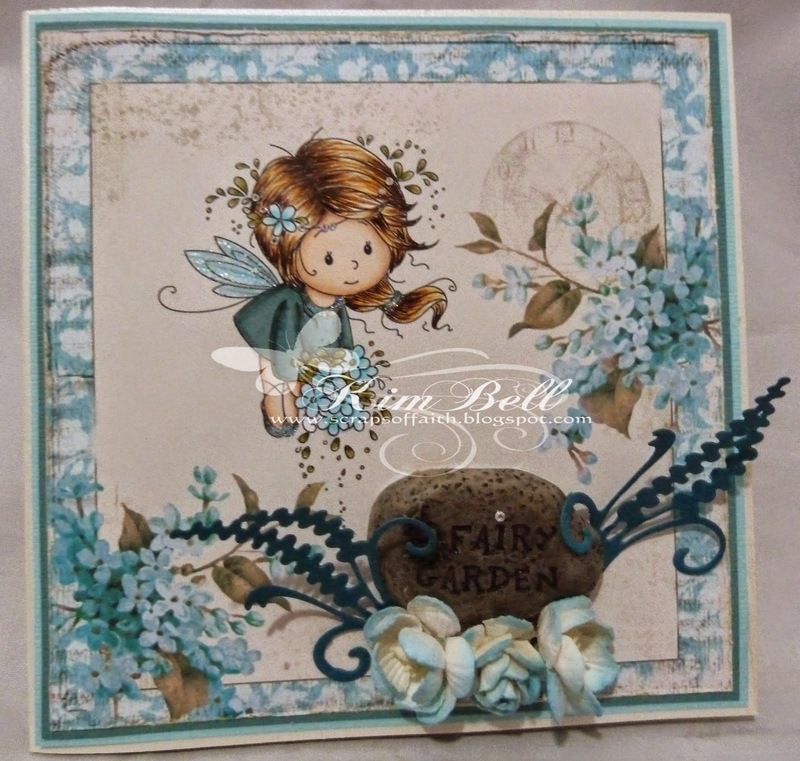 We will announce the winner and TOP 3 for Challenge #49 - Wet or Dry Embossing on Sunday, August 31st. We hope you are also participating in week 2 of Challenge #50 - Banners and Pennants and Challenge #51 - Fantasy which kicks off tomorrow, September 1st. Thanks for joining our challenges! 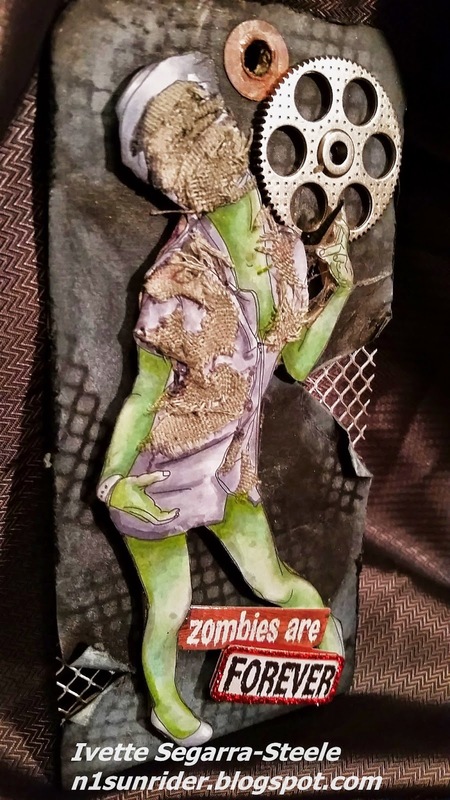 For this project, I chose a Fitztown Zombie image, Halloween 3. I used Twinkling H20 and more. For further details and photos please swing by my blog. Don't forget to become a follower both here and on my blog, "Escaping Understanding". Hope you have a great day, everyday! 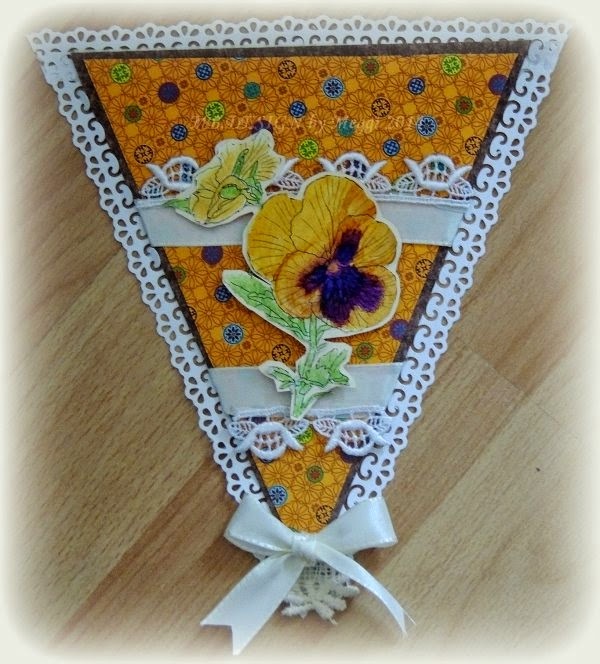 Cathie here with my inspiration project for the Banner and Pennant Challenge. I took this opportunity to use one of the brand new Morgan Fae's World's images called Mystical Fae 2 . I have coloured it with Copics adding some sparkle here and there as i usually do - I am happy to admit that like many people I am completely addicted to my wink of stella pen. I have then used some colourful flowers and banners for my sentiment. So pull out those pennants and banner dies and get creating. You have until midnight EST Sunday 7th September 2014 to get those entries in. This card features Cameo 3. Colored with copics.All the papers are from my stash. The banner is handmade of washi tape and twine. 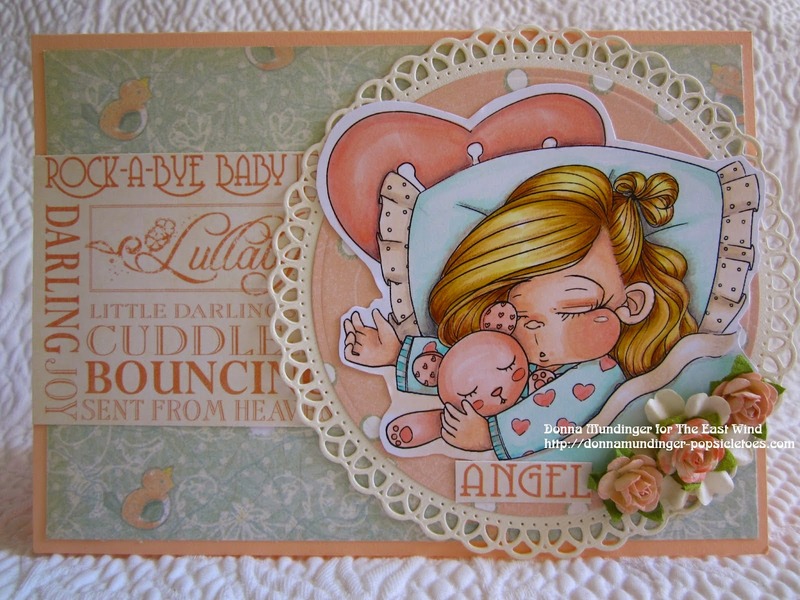 I was so excited to use this adorable image, Teddy Floral, available at MorgansFaeWorld. She is just too cute! I colored the image with Copic markers. 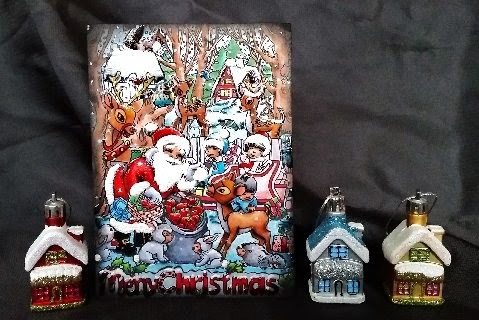 The digital papers are by Adrienne Loomis. Morgan Fitzsimons has quite a few beautiful new digi releases in her Etsy shop. Stop by and take a look! Ema here with my inspiration for fun, fun, fun Challenge #50 - Banners and/or Pennants. I've used one of Fitztown's pre-colored images. Bet you didn't know Fitztown offers pre-colored images. Well, they do! They've got LOTS going on! You should take time and check out the store. You'll see all the other stuff they have to offer... like puzzles, fabric... you could find lots more here, books, mugs... they've even got a bag... with lots more to come, I'm sure! The list just goes on and on and on! :) Anyway... 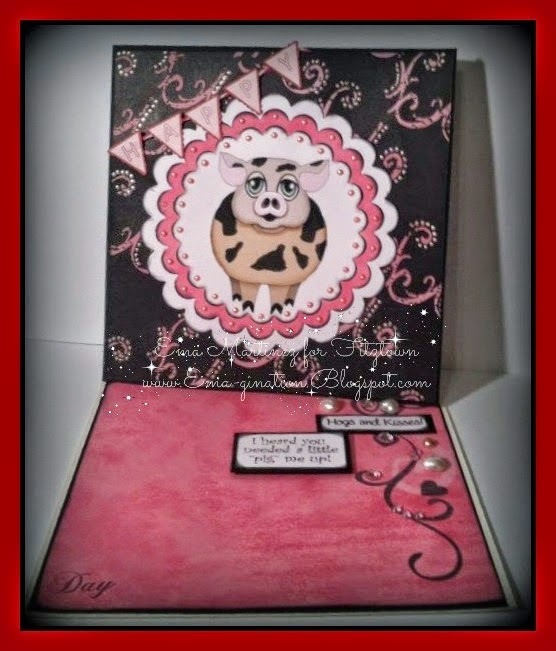 I've used pre-colored Cutie 9 for this cutie card... it's cute cause I say it's cutie! Anyway, change of subject, please come back and join the team for this week's challenge, banners and/or pennants. It's a fun theme! Hope to see you there! Hi everyone, it's Lynn here along with Team B for the latest challenge at Fitztown. This week is a very fun and versatile challenge. Our challenge is to use banners and / or pennants on your creation. So it's pretty easy to play along and create something with a little texture. For this challenge, you have until Sunday, September 7th, midnight EST USA. Winner and TOP 3 will be announced Sunday, September 14th . I'm a native Houstonian and have lived in Texas my entire with the exception of a summer in Washington D.C. and New York City. I have an awesome husband of eleven years and three wonderful children, 8, 5, and 2 years old. I have been crafting since 2007 and love all things paper. I have dabbled in scrapbooking but cards and mini albums are my favorite. I am thrilled to join Fitztown for this challenge! Thank you so much for having me. Be sure to come to Morgan's FaeWorld and see the new Christmas digis made available. We've got five of our Creative Team members showing you what they've come up with. Be sure to leave them some love because WOW! They've inspired me to pull out my Copics and Christmas papers! Thank you to everyone who entered our Challenge No. 47 - Anything Goes. Our intention is to use Random.org if we have over ten participants; otherwise, (Creative Team) CT Coordinator will chose the winner. We had 82 participants so on to the winner! Please email stampnscrapjunkie@gmail.com with the (ONE) image you chose from Fitztown within seven (7) days. You can shop for images here. Please use Challenge #47 Winner in the subject line. Don't forget to grab your winner badge located here to display proudly on your blog's sidebar! We will announce the winner and TOP 3 for Challenge #48 - Just for Kids on Sunday, August 31st. 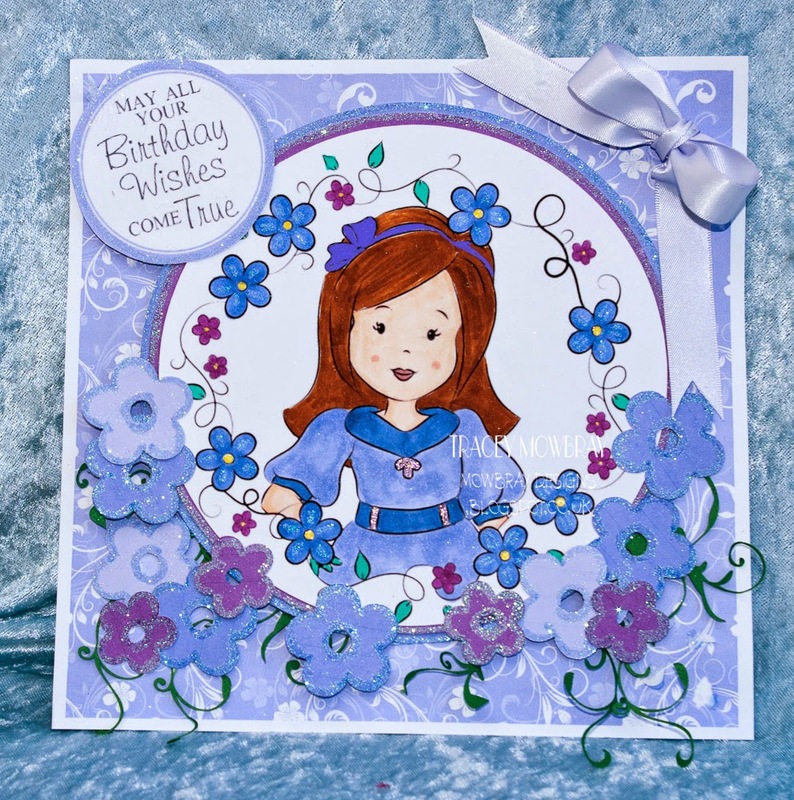 We hope you are also participating in week 2 of Challenge #49 - Wet or Dry Embossing and Challenge #50 - Banners and Pennants which kicks off tomorrow, August 25th. Thanks for joining our challenges! Hi Everybody! 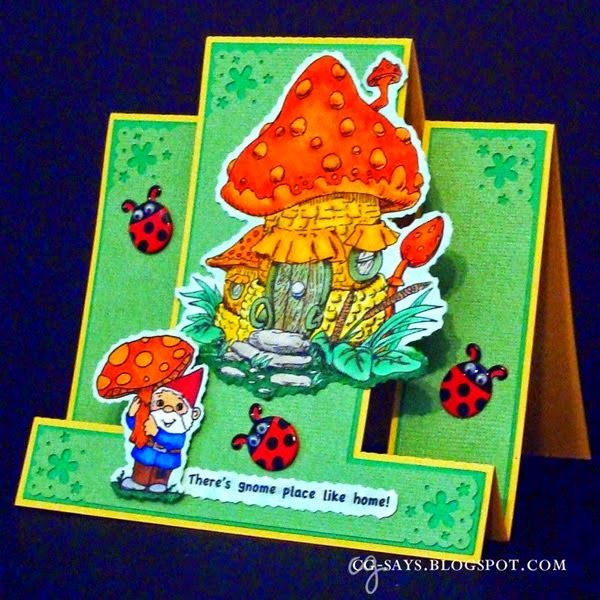 I'm here with another card using one of Fitztown's images. 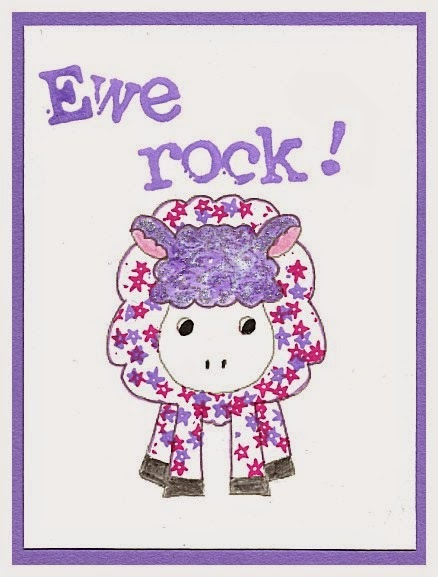 I needed a fun card for an adolescent so I went with Cutie 11, but I decided to rock it out a little. I added pink and purple stars to the main fur, and purple glitter for the top of the head fur. Happy Crafting and keep checking back here at Fitztown's Challenge Blog. Please also feel free to stop by my blog, In The Studio With Barb. Thanks and have a wonderful weekend! Thank you in advance for visiting my blog and leaving a comment. and the theme are Embossing Wet or Dry. 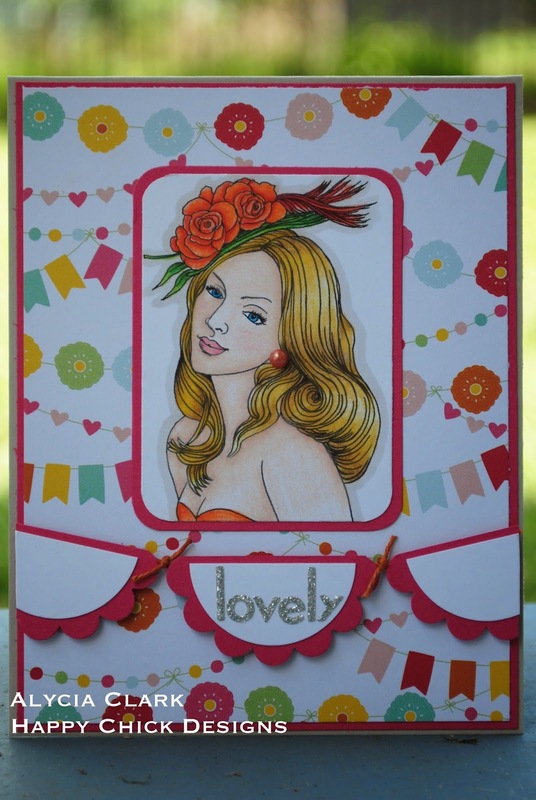 This is a very simple card but so so beautiful, sometimes less is more!! 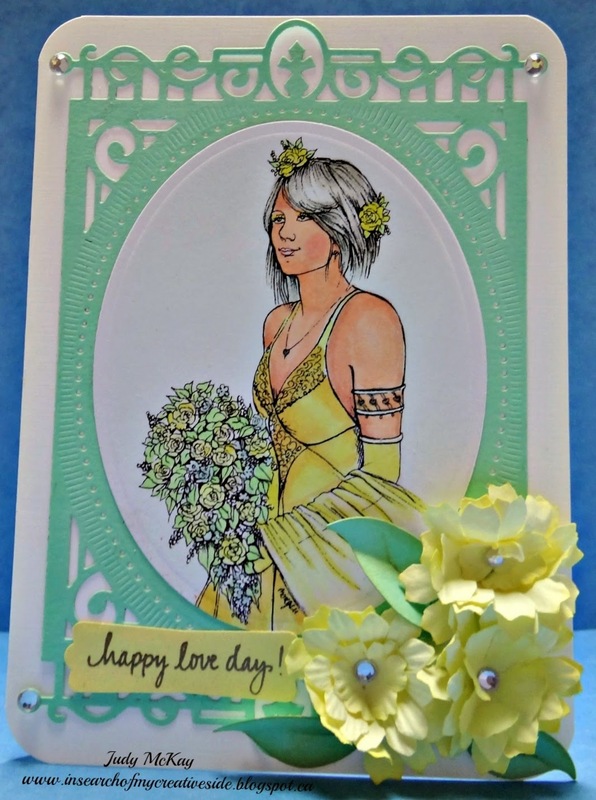 Only 4 things made this card so my embellis are cardstock, embossed paper, image and organza! I hope you will pop over and join us!! 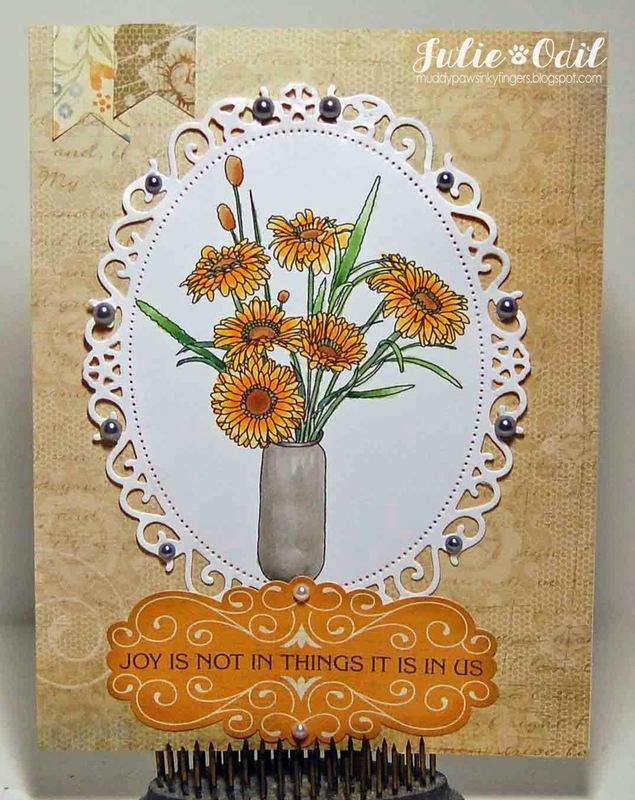 Hello fellow crafters this is my card I made to inspire you this week's wet or dry embossing challenge. I used one of Morgan Fitzsimons' wedding images for my card. This lovely image can be purchased here. 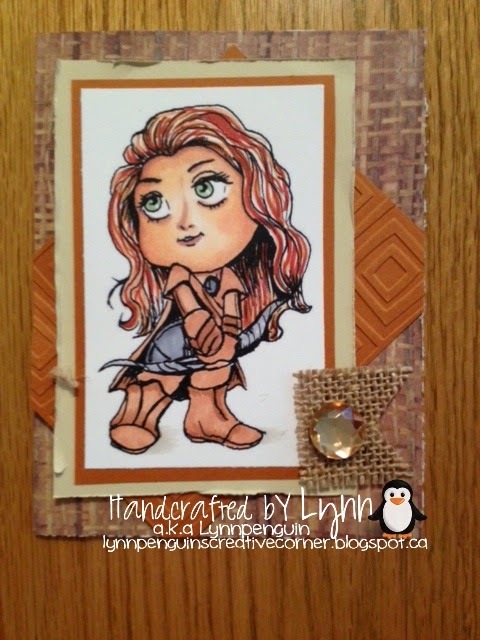 The other supplies I used for my card were the Spellbinder Heirloom Legacy die, Savvy sentiment stamp which I embossed with gold embossing powder. I created the leaves and flowers with die cuts from my stash. The paper and bling were also from my stash. I love the Spellbinder create a card die called Heirloom Legacy, along with making a very interesting cut it also embosses a beautiful design on the card. There is still lots of time to join in the challenge. 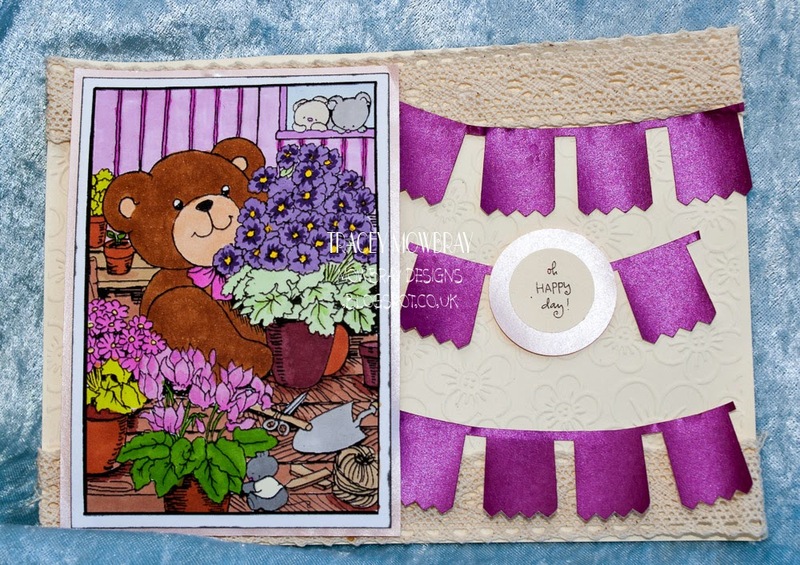 Ema here and welcome to this week's Challenge #49 - Wet or Dry Embossing. I love embossing. I really don't know why I don't add it to my projects more often. I think it adds so much detail and elegance to a card. Join us and show us what you can come up with this weeks' challenge. For this challenge, you have until Sunday, August 31st, midnight EST USA. Winner and TOP 3 will be announced Sunday, September 7th. Thank you to everyone who entered our Challenge No. 46 - Step Card. Our intention is to use Random.org if we have over ten participants; otherwise, (Creative Team) CT Coordinator will chose the winner. We had three participants but one of the links did not work so that left me with the daunting task of choosing a winner between TWO entries. What a dilemma! Both were absolutely stunning but, sadly, there can only be one winner. Ssooo... on to the winner! Please email stampnscrapjunkie@gmail.com with the ONE image you chose from Fitztown within seven (7) days. You can shop for images here. Please use Challenge #46 Winner in the subject line. Don't forget to grab your winner badge located here to display proudly on your blog's sidebar! CT Coordinator chooses a TOP 3 from ALL entries only if we have at least 10 entries. There were not enough entries for a TOP 3. Please email stampnscrapjunkie@gmail.com with the ONE image you chose from Fitztown within seven (7) days. You can shop for images here. Please use Challenge #45 Winner in the subject line. Don't forget to grab your winner badge located here to display proudly on your blog's sidebar! If BOTH prizes go unclaimed, winner will be drawn again with the next challenge winner announcement. We will announce the winner and TOP 3 for Challenge #47 - Anything Goes on Sunday, August 24th. 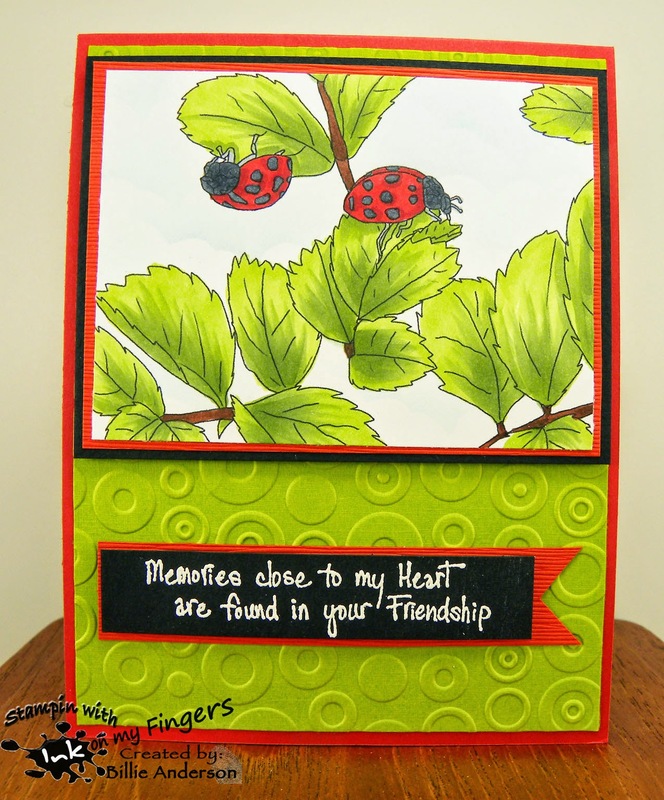 We hope you are also participating in our week 2 of Challenge #48 - Just for Kids and Challenge #49 - Wet or Dry Embossing which kicks off tomorrow, August 18th. Thanks for joining our challenges! 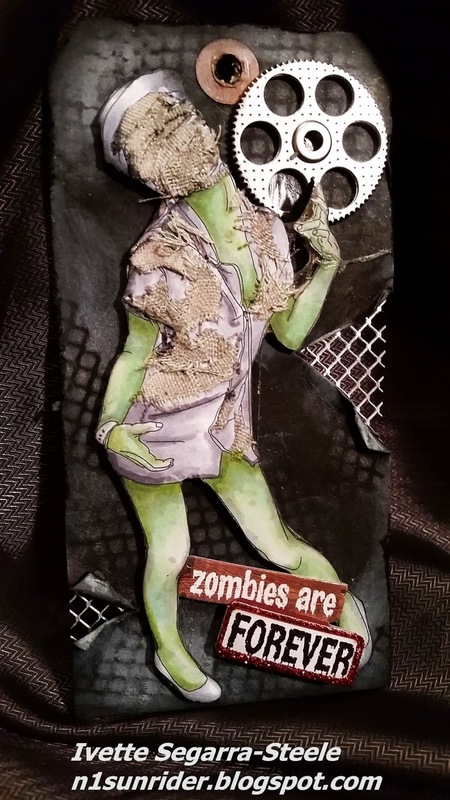 Hello everyone, Ivette with another canvas project using Fitztown's halloween image. I have lots of ideas for Halloween and not enough time. Hope you keep checking back here at Fitztown's Challenge Blog. We're having a 'Just for Kids' challenge here at Fitztown and this is my card which I hope will encourage you to come along and join us. My image is Teddy 9 which you can buy here. Check out all the images here in the Fitztown store. Lots to choose from but if you have bother finding anything just let us know and we'll do our best to help you. Hey everyone, it's Lynn here with some inspiration for the latest challenge here at Fitztown! I've used a really cute LE5 from the Last Enchanter series of images. My son and husband LOVE the game "Clash of Clans" and this image reminded me of that game. I guess she'd be an Archer in the game !! I wanted to keep an earthy feel to the card, so I used mostly brown tones. I've left the sentiment off this card because quite honestly I'm not sure if it will be a birthday card or something else !! How cute is this image? Don't ya just love it? I hope I've inspired you to play along this week. 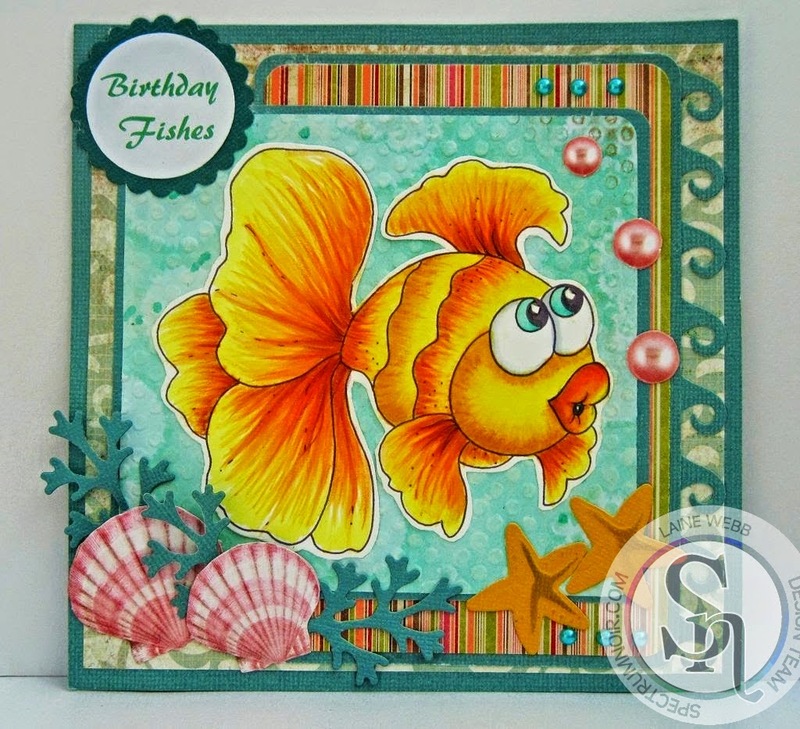 There are sooo many possibilities for creating a card For the Kids on this challenge. I look forward to seeing what you create !! Hi. 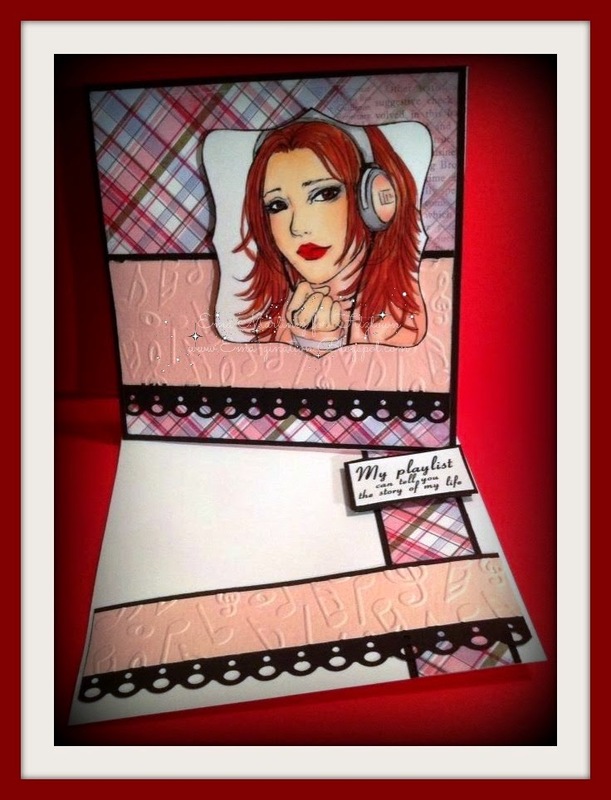 This is CT member Rachelle with an inspiration card for Challenge #48. Are you ready for some football? The football preseason is beginning and I found that choosing an image for this challenge was an easy one. I love using papers that when coupled with just the right image are the perfect marriage. I colored the image (Sports 20) with Copic Markers. 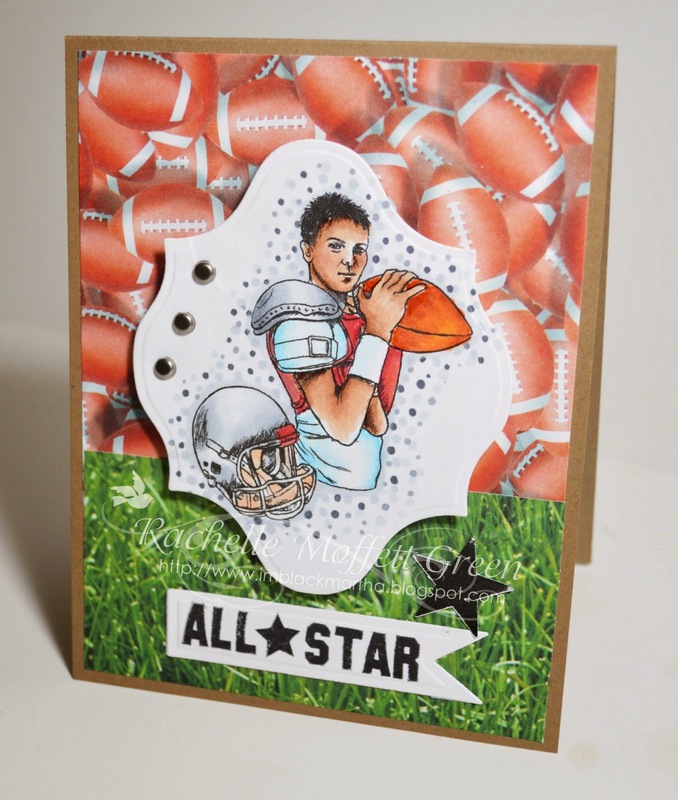 I used brads, foam tape, Spellbinders Nestabilities and a Fiskars star punch to create the masculine card that will appeal to both children and teens. I hope this card inspires and gets your creative juices flowing. I look forward to seeing your creations! So this is Queen Kitten 4 you can get her from the store here. So have gone for my purples again! Coloured her & kept in a circle shape which I have cut out, then matted on to two dark purple circle with crystal glitter around the edges. The backing is of flowers & swirls in a bluebell colour. 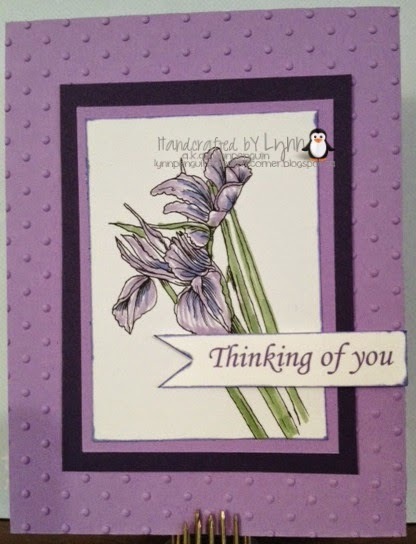 The extras for this card are all the flowers which I have glittered!, sentiment & the satin lilac bow. Thanks for looking today ! Don't forget the challenge will be here.